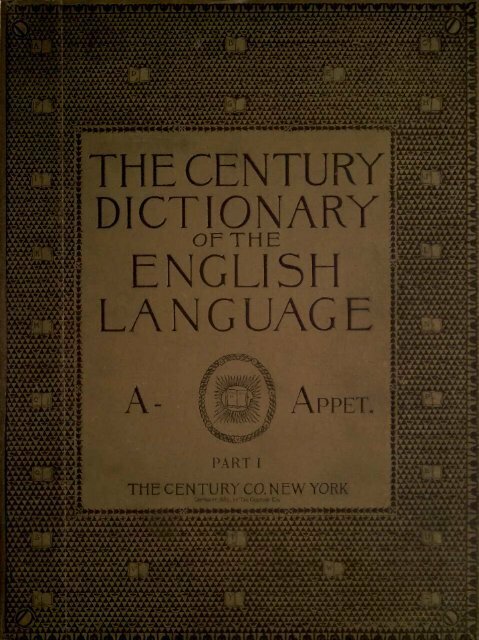 THE CENTURY DICTIONARY PREPARED UNDER THE SUPERINTENDENCE OF WILLIAM DWIGHT WHITNEY, PH. D., LL. D. PROFESSOR OF COMPARATIVE PHILOLOGY AND SANSKRIT IN YALE UNIVERSITY plan of THE " " The Century Dictionary includes three things the construction of a : (as miliar examples are words ending in or or our general dictionary of the labor, labour), in er or re (as center, centre), English language in ize or ise (as civilize, civilise) those ; having a which shall be serviceable for every literary single or double consonant after an unaccented and practical use ; a more complete collection vowel (as traveler, traveller), or spelled with e or of the technical terms of the various sciences, with CE or ce arts, trades, and (as hemorrhage, hatmorrhage) ; and professions than has yet been so on. In such cases both forms are given, attempted and the addition to the definitions with an ; expressed preference for the briefer proper of such related encyclopedic matter, one or the one more accordant with native with pictorial illustrations, as shall constitute a convenient book of analogies. general reference. THE PRONUNCIATION. About 200,000 words will be defined. The No attempt Dictionary will be a practically complete record has been made to record all the varieties of of all the noteworthy words which have been popular or even educated utterance, or to report the determinations made by in use since English literature has existed, especially of all that wealth of new words and of different recognized authorities. It has been applications of old words which has necessary rather to make a selection of words sprung from the development of the to which thought and alternative pronunciations should be life of the nineteenth century. It will record not accorded, and to give preference among these merely the written language, but the according spoken to the circumstances of each particular case, in view of the general analogies and language as well (that is, all important provin- tendencies of English utterance. The scheme cial and colloquial words), and it will include (in the one alphabetical order of the Dictionary) abbreviations and such foreign words and phrases as have become a familiar part of English speech. THE ETYMOLOGIES. The etymologies have been written anew on a uniform plan, and in accordance with the established principles of comparative philology. It has been possible in many cases, by means of the fresh material at the disposal of the etymologists, to clear up doubts or difficulties hitherto resting upon the history of particular words, to decide definitely in favor of one of several suggested etymologies, to discard nu- Philological Society of London. Thousands of non-technical words, many of them occurring in the classics of the language, and thousands of meanings, many of them familiar, which have not hitherto been noticed by the dictionaries, have in this way been obtained. The arrangement of the definitions historically, in the order in which the senses defined have entered the language, has been adopted wherever possible. THE QUOTATIONS. merous current errors, and to give for the first time the history of many words of which the etymologies were previously unknown or erroneously stated. Beginning with the current accepted form of spelling, each important word has been traced back through earlier forms to its remotest known origin. The various prefixes and suffixes useful in the formation of English words are treated very fully in separate articles. HOMONYMS. Words of various origin and meaning but DEFINITIONS OF COMMON WORDS. In the preparation of the definitions of common words, there has been at hand, besides the material generally accessible to students of the language, a special collection of quotations selected for this work from English books of all kinds and of all periods of the language, which is probably much larger than any which has hitherto been made for the use of an English dictionary, excerpt that accumulated for the These form of the same spelling, have been a very large collection helpful in the search for those details which (about distinguished by small superior figures (1, 2 200,000), representing all periods and are generally looked for in works of reference. , 3, etc.). In numbering these branches homonyms the rule has been of English literature. The classics ILLUSTRATIONS. of the language have been drawn upon, and to give precedence to the oldest or the most familiar, or to that one which is most valuable citations have been made from less The pictorial illustrations have been so selected and executed as to be subordinate to the nearly famous authors in all departments of literature. American writers especially are repre- text, while possessing a considerable degree of English in origin. The superior numbers apply not so much to the individual word as to sented the group or root to which it belongs, hence in greater fullness than in any similar independent suggestiveness and artistic value. work. A list of authors and works (and editions) cited will be published with the con- have, as a rule, been selected by the specialists To secure technical accuracy, the illustrations the different grammatical uses of the same homonym are numbered alike when they are separately entered in the cluding part Dictionary. Thus a of the Dictionary. in charge of the various departments, and have in all cases been examined by them in proofs. verb and a noun of the same origin and the DEFINITIONS OF TECHNICAL TERMS. The cuts number about six thousand. same present spelling receive the same superior Much number. But when two words of the same form space has been devoted to the special terms of the various and of the same radical origin now differ considerably in chanical sciences, fine arts, me- MODE OF ISSUE, PRICE, ETC. meaning, so as to be used arts, as different words, they are care has been bestowed professions, and trades, and " The Century Dictionary" will be comprised much separately numbered. upon their treatment. They have been collected by an extended in about 6,500 quarto pages. It is published search through THE ORTHOGRAPHY. all branches of literature, with by subscription and in twenty-four parts or the Of the great body of words design of providing a sections, to be finally bound into six quarto volumes, if desired by the subscriber. These sec- very complete and constituting the familiar language the spelling is determined many-sided technical dictionary. Many thousands of words have thus been gathered which price of the sections is $2.50 each, and no tions will be issued about once a month. The by well-established usage, and, however accidental and unacceptable, in many cases, it have never before been recorded in a general may be, it is not the office of a dictionary, or even subscriptions are taken except for the entire in special glossaries. To work. dictionary like the biological sciences a degree of prominence has been given corresponding to the rescribed in the preface (of which the above is in The plan of the is Dictionary more fully de- this to propose improvements, or to adopt those which have been proposed and have not yet markable recent increase in their vocabulary. part a condensation), which accompanies the The new material in the departments of biology and zoology includes not less than five thousand words and senses not recorded even in won some degree of acceptance and use. But there are also considerable classes as to which usage is wavering, more than one form being sanctioned by excellent authorities, either in special dictionaries. In the treatment of physical and mathematical sciences, of the this country or Great Britain, or in both. Fa- mechanical arts and trades, and of the philological sciences, an equally broad method has been adopted. In the definition of theological and ecclesiastical terms, the aim of the Dictionary has been to present all the special doctrines of the different divisions of the Church in such a manner as to convey to the reader the actual intent of those who accept them. In defining legal terms the design has been to offer all the information that is needed by the general reader, and also to aid the professional reader by giving in a concise form all the important technical words and meanings. Special attention has also been paid to the definitions of the principal terms of painting, etching, engraving, and various other art-processes ; of architecture, sculpture, archeology, decorative art, ceramics, etc. ; of musical terms, nautical and military terms, etc.  ENCYCLOPEDIC FEATURES. The inclusion of so extensive and varied a vocabulary, the introduction of special phrases, by which the pronunciation is indicated is quite simple, avoiding over-refinement in the discrimination of sounds, and being designed to and the full description of things often found be readily understood and used. (See Key to essential to an intelligible definition of their Pronunciation on back cover.) names, would alone have given to this Dictionary a distinctly encyclopedic character. It has, THE CENTURY CO., 33 EAST 17 ST., NEW YORK. however, been deemed desirable to go somewhat further in this direction than these conditions render strictly necessary. Accordingly, not only have many technical matters been treated with unusual fullness, but much practical information of a kind which dictionaries have hitherto excluded has been added. The result is that "The Century Dictionary " covers to a great extent the field of the ordinary encyclopedia, with this principal difference that the information given is for the most part distributed under the individual words and phrases with which it is connected, instead of being collected under a few general topics. Proper names, both biographical and geographical, are of course omitted, except as they appear in derivative adjectives, as Darwinian from Darwin, or Indian from India. The alphabetical distribution of the encyclopedic matter under a large number of words will, it is believed, be found to be particularly first section, and to which reference is made. A list of the abbreviations used in the etymologies and definitions, and keys to pronunciations and to signs used in the etymologies, will be found on the back cover-lining. , . -ada -ada. [Sp. Pg. -ada = It. S3 , IV 73 adjacently adiaphorist . [< afar \a,ter fer, far. Cf. anear.
' A I aland alabaster 127 alar II.
' ' alatern alatern (al'a-tern), n.
tree, and shake 'em down, Sis Cow,"